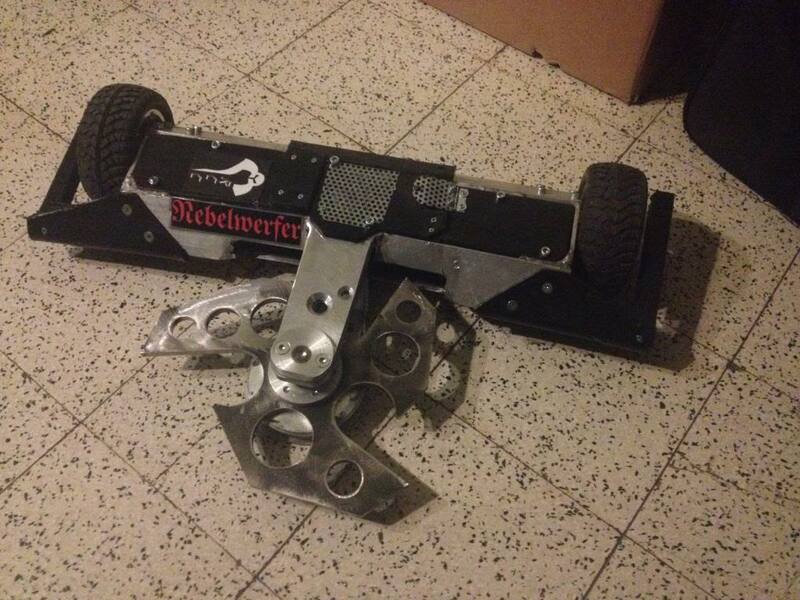 Nebelwerfer 2 is our Raptorweight (max 6kg weight) Horizontal disc spinner. Nebelwerfer 1 was vertical like its bigger brother Valkiri but in the newest edition we decided to put the disc horizontal and change from a regular disc to a trident design. 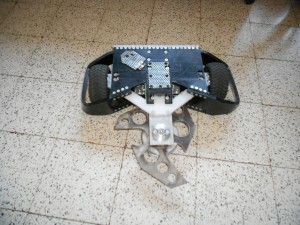 This version has a brushless weapon motor and brushless drive motors, one for each wheel. The disc spins at 4000 rpm on 11.1V (3S lipo, the highest voltage allowed in raptors). 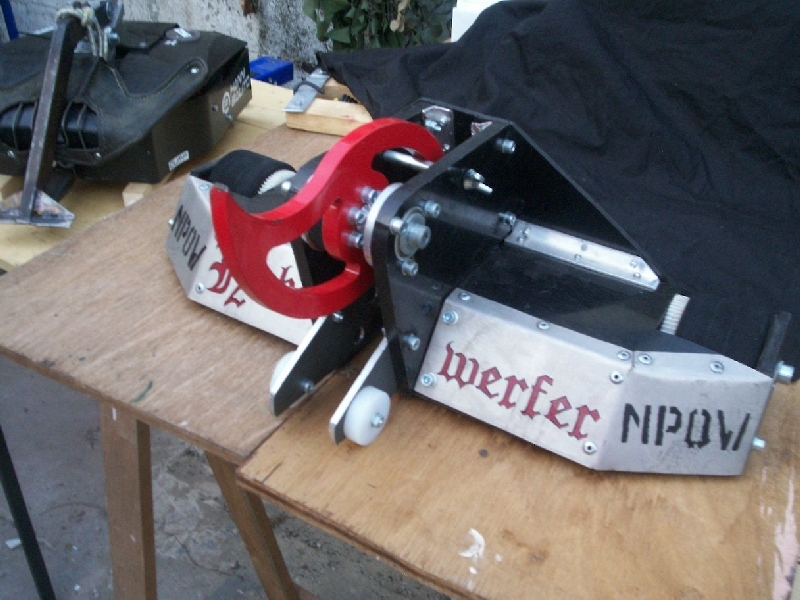 The current look of Nebelwerfer 2. As it looked in 2014, with an aluminium frame. this frame bent too much under the stress of the impacts so we switched to the newer frame design as shown above. Nebelwerfer in the finals against Lightjockey during Mad Metal Machines 18 (autumn 2014). Nebelwerfer in 2007, the first version with vertical spinning bar.